This annual event showcases our local student’s talented artwork. From kindergarten to high school, they have worked on pieces of art according to this year’s theme of “diversity.” What a great thing to come out and support! Bring out your inner superhero! This superhero costume event on MLK Drive starts with a run and ends in more fun! At the finish line, there will be food trucks and bounce houses for the kids. The Little Hero 1.3K is limited to kids ages ten and younger. Nothing to see here except some Alaskans celebrating spring! The resort takes advantage of the longer daylight and extends the hours for the ski lift operations while also hosting the Slush Cup where those competing dress is crazy costumes and attempt to make it across a 90-foot long pool of freezing water! There are other events throughout the weekend along with live music and more! 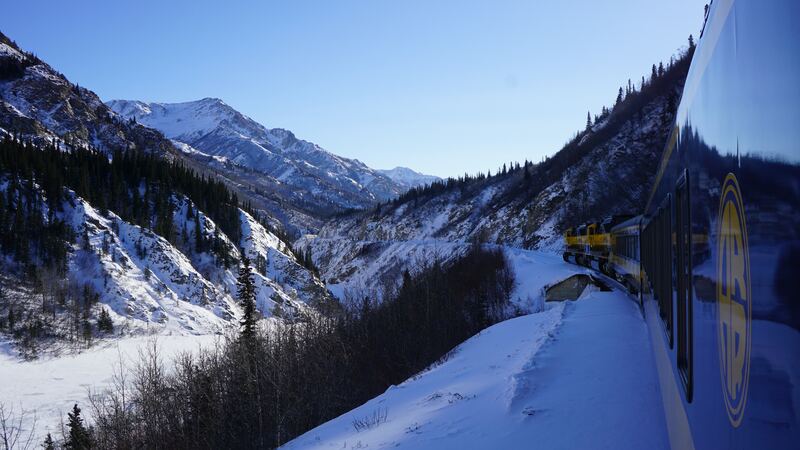 Celebrate Easter on the Alaska Railroad! The Easter Train has two different departure times (one at 10 am and one at 3 pm) and both are a 2.5 hour roundtrip affair from Anchorage to Indian along the coastline of the Cook Inlet and Turnagain Arm. It is a great activity for the family and we even heard the Easter bunny is going to make an appearance!